Shoppers were forced out of the building as the alarm sounded. - by that's life! A security scare in a north-west Sydney Westfield led to thousands of shoppers being evacuated, including elderly and children. 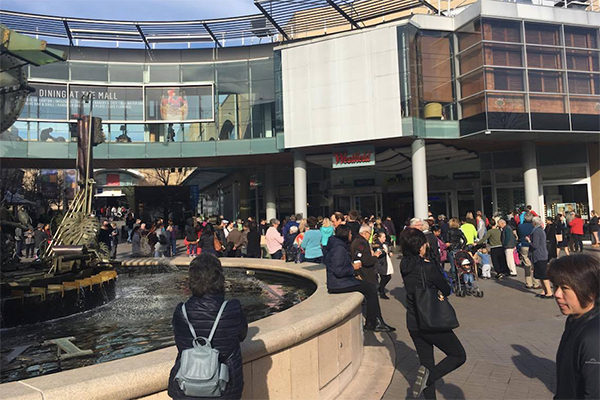 Around 10am on Tuesday, shoppers in the Westfield at Hornsby in Sydney's north-west were forced to leave the building as evacuation alarms sounded for the second time that week. An article published by North Shore Mums reports that the shopping centre's visitors were shaken by the events, particularly given the news of terror attacks in recent months. 'With everything that’s going on in the world at the moment, these alarms can be really unsettling,' one shopper said.